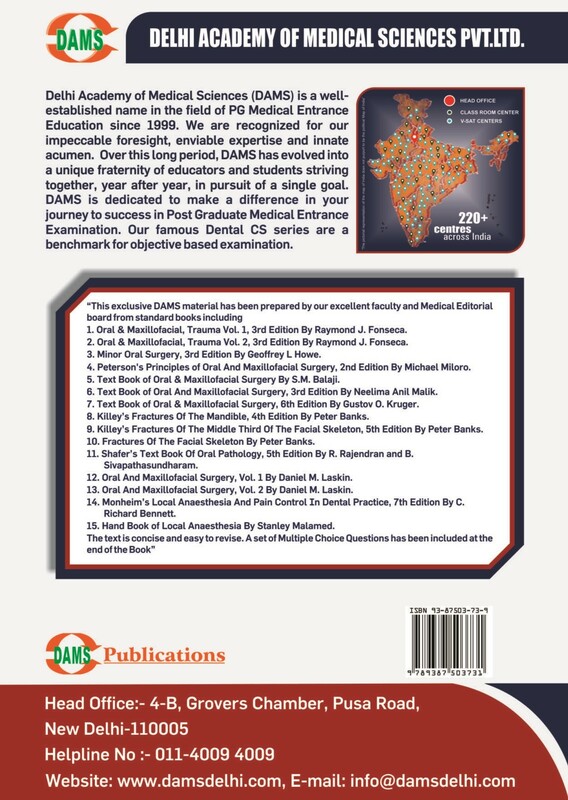 This exclusive DAMS material has been prepared by our excellent faculty and Medical Editorial board from standard books including,Oral & Maxillofacial, Trauma Vol. 1, 3rd Edition By Raymond J. Fonseca,Oral & Maxillofacial, Trauma Vol. 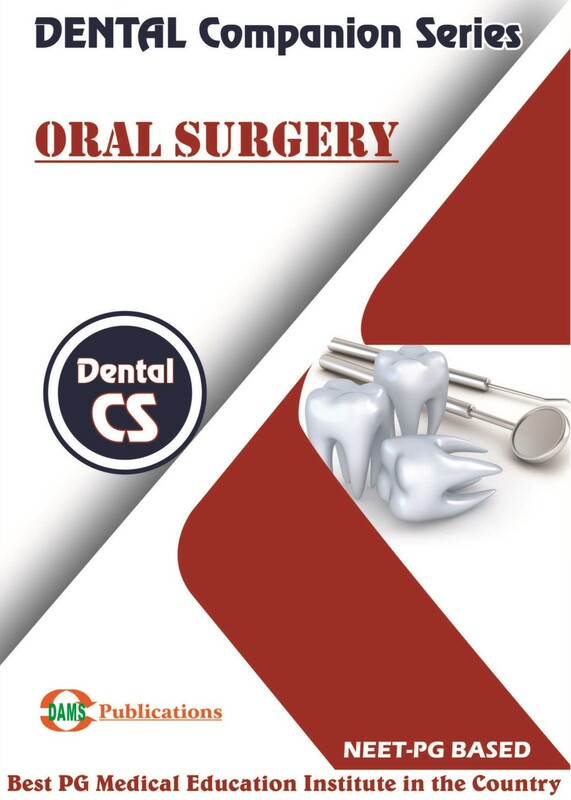 2, 3rd Edition By Raymond J. Fonseca,Minor Oral Surgery, 3rd Edition By Geoffrey L Howe,Peterson's Principles of Oral And Maxillofacial Surgery, 2nd Edition By Michael Miloro,Text Book of Oral & Maxillofacial Surgery By S.M. 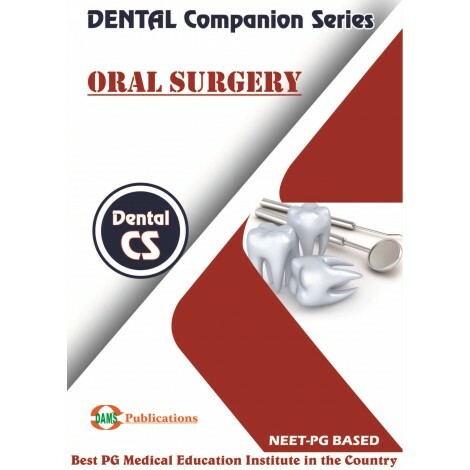 Balaji,Text Book of Oral And Maxillofacial Surgery, 3rd Edition By Neelima Anil Malik,Text Book of Oral & Maxillofacial Surgery, 6th Edition By Gustov O. Kruger, Killey’s Fractures Of The Mandible, 4th Edition By Peter Banks, Killey’s Fractures Of The Middle Third Of The Facial Skeleton, 5th Edition By Peter Banks, Fractures Of The Facial Skeleton By Peter Banks, Shafer’s Text Book Of Oral Pathology, 5th Edition By R. Rajendran and B.Sivapathasundharam, Oral And Maxillofacial Surgery, Vol. 1 By Daniel M. Laskin, Oral And Maxillofacial Surgery, Vol. 2 By Daniel M. Laskin, Monheim’s Local Anaesthesia And Pain Control In Dental Practice, 7th Edition By C.Richard Bennett, Hand Book of Local Anaesthesia By Stanley Malamed.